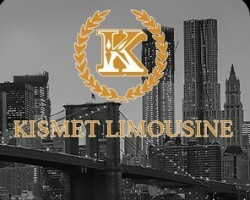 New Jersey Car Service | Newark Airport EWR Limo Service NJ Order a car service for personal and corporate transportation - latest sedans , SUVs and stretch limousines at leading NJ limo company Kismet Limousine . Our company has been serving customers in New Jersey, US and from all over the world for more than 28 years . During that time we maintained local reputation of leading Bergen County limo service giving our valuable clients all types of premium transportation from private car services to corporate travel and JFK, LGA and Newark airport limo services.